Since 2005, LEED Certified wineries have grown in popularity. From Sonoma to the Northeastern United States, wineries have begun to integrate green technologies and building materials into the construction of new and existing buildings. Green winos rejoice! Stratus Vineyards, a high-end label out of Ontario, was the first winery in Canada to seek LEED certification from the Canada Green Building Council in 2005. The winery incorporates geoexchange technology for heating and cooling, recycled building materials and native landscaping. In California, Frog’s Leap Winery was the first in Napa to build a LEED certified building and also features the only LEED certified green house. The facility also features a geothermal heating and cooling system with the capacity to cool 10 houses and is powered by 100 percent solar energy. 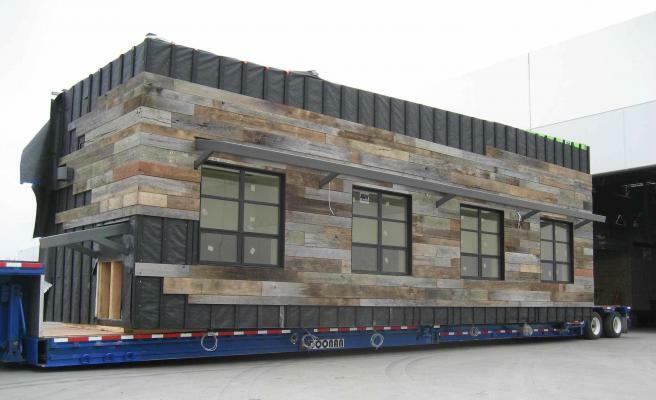 Recently, Tony Sarich, the co-founder of American Modular Systems (AMS) and manufacturer of Gen7 green modular classrooms, has broken ground on a 3,000 square-foot pre-fabricated winery in California’s Central Valley. River Vine will be the first LEED Gold prefab winery built offsite to meet these rigorous standards. Ninety percent of the winery will be assembled at the manufacturing facility of AMS, minimizing associated wastes and costs.